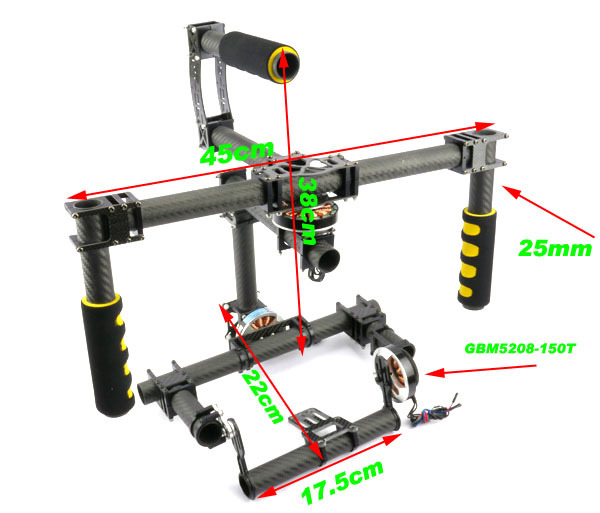 THIS IS THE GIMBAL FRAME KIT VERSION, WITHOUT ELECTRONICS (LIKE MOTORS, CONTROLLER ETC.). - Suitable camera: Canon 5D or similar, weight around 2 to 2.5Kg. 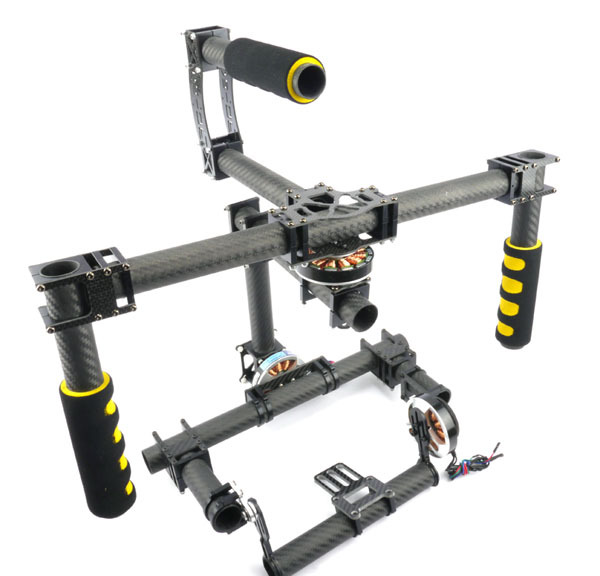 * Gimbal controller & motors are NOT included. Motors in below diagram are for illustration purpose only. 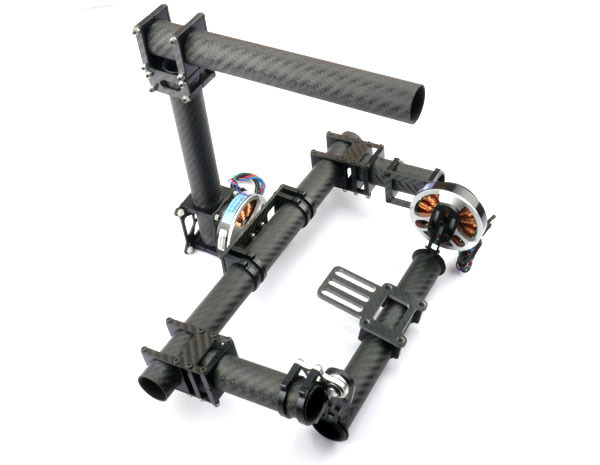 To buy the version with 3 x GBM5208-150T motors, click here.